How Do I Subdue Negative Feelings Related to IPF? Living with a life-threatening illness like idiopathic pulmonary fibrosis (IPF) evokes a plethora of feelings throughout the course of the disease. Some are positive. At times, a patient is content, grateful, or hopeful. Other times, the feelings are negative and a patient could experience anger, fear, guilt, or sadness. Regardless of whether the feelings are positive or negative, living with IPF can be overwhelming. I have been feeling overwhelmed a lot in the last few weeks, and I think it is because of this that my mood feels altered. Not only do I feel different internally, particularly about how I am coping with everything, but I also feel like I am responding to or acting differently around others. And that has been really difficult for me. 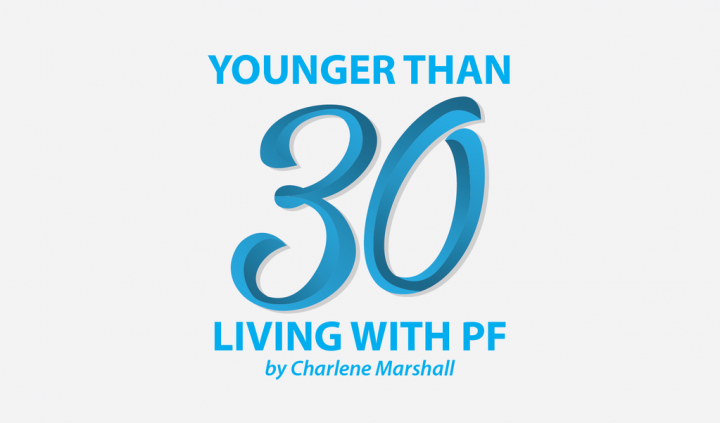 As a result of feeling overwhelmed with IPF-related issues as of late — namely medication changes, lung function decreases, and appointments — I am experiencing different feelings that are unusual for me. I am trying hard to treat myself with compassion, as my lovely friend and fellow IPF patient Kim Fredrickson writes so eloquently about, but it can be tough at times. When I get overwhelmed, especially in ways related to my illness, I feel like I am a very different person than I’d like to be. 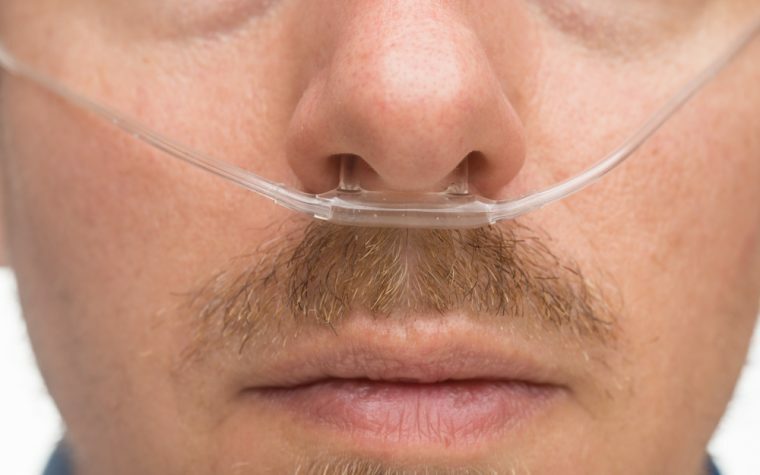 Due to this, and not really knowing how to subdue those feelings even temporarily so they aren’t impacting other people, I’m asking other IPF patients for advice. This is really hard for me to deal with and is probably one of the most frustrating things that others experience when I am feeling overwhelmed. It is not so much anger, although I do experience this as well (see below), as it is about being moody, grumpy, and short-tempered. This isn’t fair to the people around me, but I’m not sure how to change it. Thankfully, when I am feeling less overwhelmed with my illness, this seems to subside. But in the moment, none of the tricks I have for helping me cope seem to reduce the amount of irritability that I feel. I can still get the tasks done that I want and need to. But when I am feeling like this, I prefer to get things done alone, and that is not always possible, especially when the tasks are work-related. While some people might claim that I have plenty to be angry about while living with a life-threatening disease at 30, I still don’t like the way this feels. Justified or not, it doesn’t feel good going around and being angry. The world has so much joy to offer, and I have people who love me, so contrary to living with IPF, I am still pretty lucky. Plus, it takes too much energy to be angry all the time. I know and agree with this even when I am feeling overwhelmed, but it’s like I still can’t change it. I’m not necessarily angry at others. Instead, I become really angry and critical of myself and want to do everything to the best of my abilities despite feeling overwhelmed. No one can be their best selves when they are feeling overwhelmed, so why do I apply this pressure to myself? Those who know me might laugh at this because I am part of the generation that expects things instantaneously (I am working on this). But when I feel overwhelmed, I am even more impatient than normal. Unfortunately, this is a feeling that usually is directed at other people. When I need answers or am waiting on something from someone else, I want it now, and the speed they can get it to me isn’t fast enough for my liking. I know this is not appropriate behavior and it is not an acceptable expectation of others. I know that I have no right to be impatient with others when they are trying their best, but I don’t know how to subdue the feeling of being impatient. Thankfully, this feeling is only present when I am overwhelmed with IPF-related tasks, results, appointments, etc. Since I know these three things are unacceptable, and I know that I will continue to have many times throughout my life when I will feel overwhelmed, I am actively trying to subdue these feelings when they are present. I am finding it hard, though, and this usually leads to emotional upset for me. Do you have any tips or tricks to subduing negative feelings related to IPF? Tagged anger, attitude, impatience, irritability, overwhelmed, perspective. I find myself at times to be a grump, I blame it on my age, I’m old,70, but I also blame it on my the drugs I’m on. I do believe this disease has a crabby thing with it. I find I give my opinion more now. What I’m trying to do is not say anything until I think about what I will say. It may help I hope. I am so happy you are welling to share your journey with this disease, you are helping us all, young and old. Thanks. Thanks for your kind words Mary and take good care. I think we all experience those same feelings to varying degree. I have accepted that somedays I’m going to be a bit off my game. I’ve tried to minimize the severity by pausing and saying to myself “be positive”. Actually, to the point of being ridicules. Like every thought…”be positive”, “act positive”, “answer positive”, “listen positive”, “talk positive”, smell positive”, “cough positive” (OK, that’s not going to happen). It becomes so ridicules I chuckle and that begins breaking the cycle. Doesn’t work all the time, but knowing I’m having one of those days is a first step in self identification and correction. Then there are days I purposely let loose just to let my brain VENT! Sometimes being “pissed” at everything feels good. Thanks so much for reading my column and sharing your comments as well. I agree with you, I think we all experience feelings throughout this journey that make us feel ‘a bit off our game’, as you say. I like your approach to coping with it though, it sounds like laughter has been a very helpful tool for you, in terms of breaking the cycle when you’re feeling unlike yourself. Laughter can be so powerful! When you have those days, do other tactics help you? I find when I am having a lot of these negative thoughts, it is better that I am alone in case I do say or share something that concerns others. While at the same time, being alone can perpetuate the cycle so I find days when I am off my game to be really challenging. You’re right, sometimes being angry absolutely does feel good. I work with kids who sometimes struggle with anger management and emotional regulation due to trauma in their lives, and I often support them in finding ways to release that frustration or upset in ways that aren’t harmful to their selves or others. I should maybe implement some of them in my own life and see if it helps! It is important to get it out, I agree. Thanks again for sharing! I like to take “brain walk-abouts”. I try and get so involved with something that it is all consuming. Recently, I finished painting one of our bedrooms. No easy feat since activity requires 6 – 10 lmp of oxygen. I have to anticipate every conceivable possible scenario since it’s very difficult to repeat efforts. Drop a rag on the floor and I pay the consequences. Yes, walls/floors were covered in plastic and everything was taped. It took three weeks but it was worth it. My wife was very helpful in grabbing supplies and helping with the lifting. The feeling of self-worth is also undeniably another reason for this exercise in home improvement. Those days when physical activity is difficult there are other diversions like the Olympics or random fact searches on the internet. Anyway, those are my little tricks. Got to go, looking up the lifecycle of the firefly squid of Toyama Bay. Thank you so much for reading my columns and sharing your thoughts on how you subdue the hard feelings associated with IPF. I love your idea of “brain walkabouts”, and agree that it can be so therapeutic to consume your mind with something that doesn’t leave much room for thinking of our disease. Painting is a great idea, and must leave you feeling very accomplished after it’s finished. Requiring 6-10LPM of oxygen and painting a room would be very difficult, as you say, so kudos to you! Did you find you experienced any soreness or muscle fatigue from doing this? It is wonderful that your wife helped you and I can imagine this really felt good, to be able to improve an area of your home as you might have before your diagnosis. Thank you again for sharing, those are all great ideas! I’m thankful for finding random facts on the internet as well. I am going to look up some right now about the ocean… my favourite place to be! I was diagnosed IPF in 2013, so far im doin quite well, my o2 saturation at rest is 98%, but my problem is too much phlegm in lungs, that keep me awake most of the night couhging heavily and spitting phlegm..How can I eliminate part of that phlegm? Thank you so much for reading my columns and contributing to the comments. I am glad to hear that you are doing well in your 5th year with this disease, based on your diagnosis of 2013. That is incredibly encouraging news, thank you so much for sharing! With regards to the phlegm in your lungs, I am sorry to hear this and unfortunately I can’t really be helpful in sharing tips on how to eliminate this. My cough is very dry and persistent, almost more like a clearing of my lungs, instead of a productive cough. However, I am going to anonymously post your question in our new PF forums, to see if other people experience this symptom and how they manage it. If you would like to join the forums (free and a quick sign up) to check people’s comments/responses, please visit: https://pulmonaryfibrosisnews.com/forums/ .. otherwise, I’ll try my best to post people’s responses back here so you can get some ideas on how to eliminate the phlegm. Goodluck! Hi I was also diagnosed also in 2013. I am 64 with your symptoms coughing up lots of phlegm 24/7. My wife rubs Vick on my back and neck in the night. I am also prescribed Codeine 30mg I just take at night 2/3 times a week as relaxes me. When thing are bad I use my ventolin enhalor this helps also. Thank you so much for reading my columns and contributing to the comments. I will ensure your feedback gets to the individual who asked the question about the management of phlegm. There has also been wonderful suggestions/ideas on how to help with this on our new PF forums: http://www.pulmonaryfibrosisnews.com/forums that I was to pass on as well. Thanks again! I was prescribed prednisone. high dose taper to eliminate phlegm. which is what was smothering my lungs. That got me off oxygen for the next three years with minimal steroid prn. AS YOUR DOCTOR. But, warn that second opinions from pulmonologists can be life threatening. They have their own limitations and their unwillingness to consider transplant referral has almost cost me my life. Also, Codeine does calm cough but so does mucinex and robitussin DM. My person saviors during seasonal flareups. Thank you so much for reading my column and contributing to the comments. I’m going to pass on your feedback to the gentleman who was asking about phlegm management. Thanks again, and I hope that your disease continues to be manageable for you. How was the prednisone side effects for you? I just make a post online about dealing with these side effects….. Thank you for sharing, I will be sure to pass on your suggestion and give it a try in future when I need it as well. Best wishes to you. Thanks for reading my column and for getting in touch. I haven’t heard of the flapper valve, but would be interested in learning more about it so I will look it up on credible pulmonary sites. Can you only get them through the hospital, or a nurse then? Really glad it has been helpful for you and thank you for sharing!